Simbla&apos;s data table web widget allows you to draw whole tables of data from your online database and present them on your page with different styles and editing options. Click here to view a live example of data table widget. 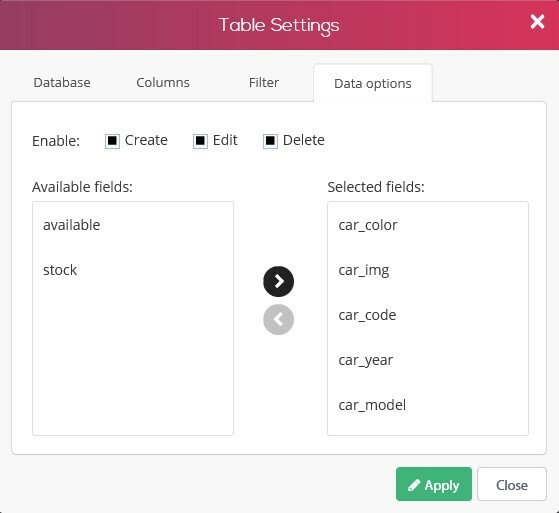 The table&apos;s permissions are limited for the example so you won&apos;t be able to add, edit or delete records, you will be able to view a live database table and the way the form is built. 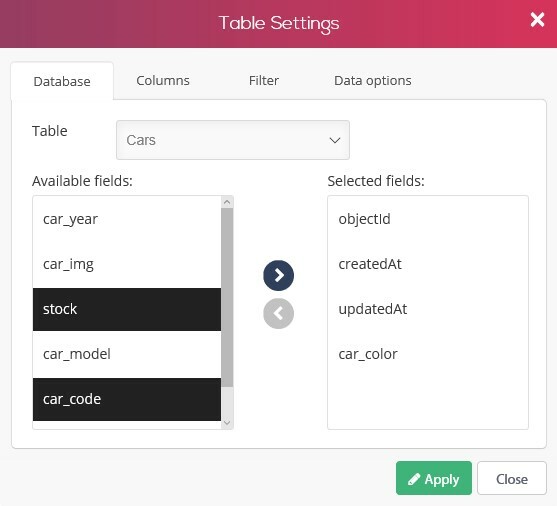 Under the database tab you will choose the table you would like to draw the data from and select the fields you would like to present in your table. Rename your columns as how you want them to show on your page. 1. 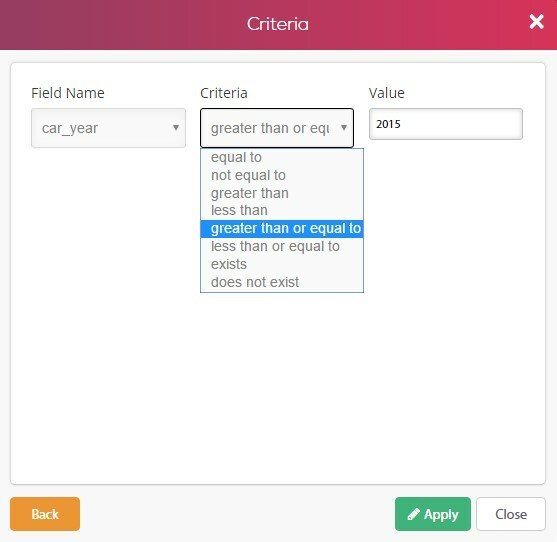 Use a ready made search form allowing the user to search by his own input - click here to learn how to set up a search form. 2. 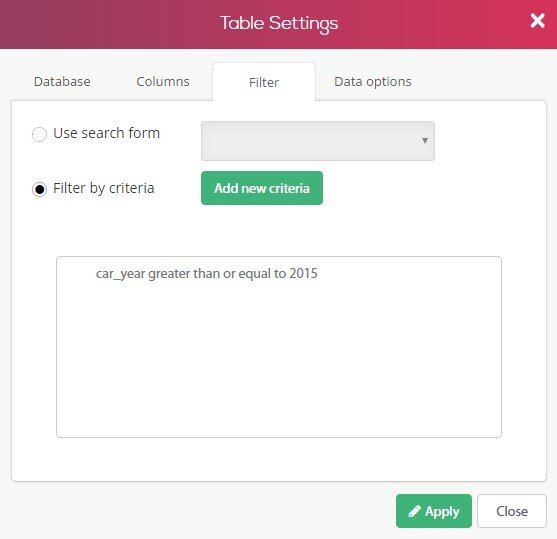 Filter the data by a set criteria- by filtering by criteria, the table will appear to the user already filtered. 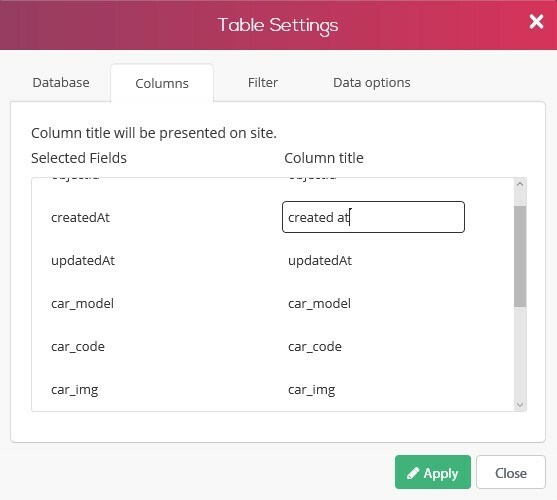 Data options will allow your users to perform actions on the table that will affect both the database in the background and the presented table on page. 1. Delete - delete a database record. 2. Edit - Edit a database record. 3. Create - Create a new database record. In addition, you will be able to choose which columns the users will be able to perform the actions on. If your table permissions don&apos;t allow public users to edit, create and delete records, but do allow members to do so, only members will be able to perform actions while public users will get an error message.